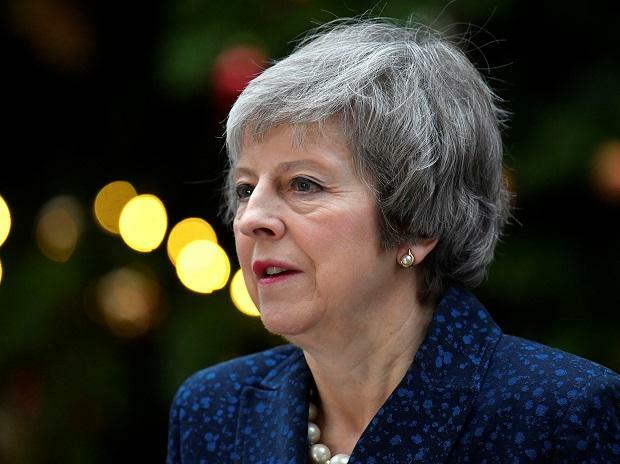 The British Parliament is set to vote on competing for Brexit plans on Tuesday, with Prime Minister Theresa May desperately seeking a mandate from lawmakers to help secure concessions from the European Union. Opposition to the backstop by pro-Brexit lawmakers who fear it will trap Britain in regulatory lockstep with the EU helped sink May's deal on January 15, when Parliament rejected it by 432 votes to 202.
International Trade Secretary Liam Fox told the BBC on Tuesday the amendment offered the best chance for Britain to avoid leaving the EU without a deal on future relations. "I think we should send the prime minister back to Brussels with a strong mandate to be able to say 'If you compromise with us on this one issue, on the backstop, we would be able to a get an agreement' an agreement that is almost there," he told the BBC. But it's far from certain the amendment can win support from a majority in the House of Commons. And the EU is adamant that the legally binding withdrawal agreement cannot be renegotiated. "There can be no change to the backstop. It was negotiated over 18 months with the UK and by the UK," she said. Though Parliament is overwhelmingly opposed to May's deal, lawmakers are divided over what to do instead whether to brace for a "no-deal" Brexit or to try and rule it out. The backstop proposal is one of more than a dozen amendments proposed by lawmakers that aim to alter the course of Britain's departure. Some others seek to rule out a no-deal Brexit so Britain can't tumble out of the bloc on March 29 without an agreement in place to cushion the shock.